« Treat your mind like your money ….. Please attend to your longings …..
American sociologist Professor David Phillips, studies when people die, and whether their mental state allows them to either prolong life or hasten death. Dr. Death, as he’s been affectionately labeled, has researched the death of more than 10 million people over the last 35 years. Three American Presidents, namely John Adams, Thomas Jefferson and James Monroe, all died on 4th July – which begs the question, did they hang on long enough to ensure that they died on such an auspicious date? 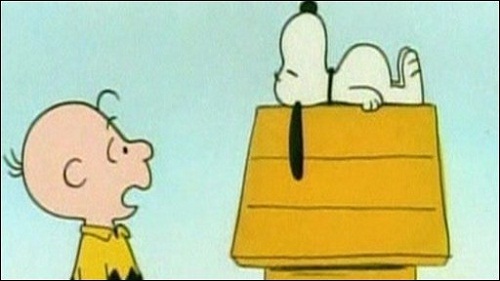 Charles Schulz, the creator of Peanuts, died on the eve of the publication of his last comic strip. With his last comic strip Schulz included a signed farewell letter predicting his death. The Chinese Harvest Festival is one of the most important times in the Chinese year. The highlight of the festival is a meal that is prepared by the most senior woman in the house with the help of her daughters and daughters-in-law. Death records show that the death rate drops in the Chinese community by 35% in the week before the festival, and increases by 35% after the festival has finished. Commenting on Phillips’s research, Professor David Jenkins, of University of Texas Medical School said, “It illustrates that there is a lot more to living and dying than what you can find in a blood test or ECG. We now know that the quality of your thinking not only affects the quality of your life, but also the length of it. There’s no doubt that having a sense of purpose is a key factor in living a long, healthy and happy life." Einstein was clearly onto something when he said that, "Your thoughts are a preview of life’s forthcoming attractions." Despite being one of the poorest regions in Japan, the people of Okinawa have one of the highest life expectancies in the world. They attribute their longevity to having an ikagai - which means "reason for being" or "reason for waking up in the morning." The research is unequivocal – if you want to live to a ripe old age, then please attend to your longings. A guy is looking for a place to sit in a crowded university library, so he asks a girl: “Do you mind if I sit beside you?" The girl replies in a loud voice: “I DON’T WANT TO SPEND THE NIGHT WITH YOU!" All the students in the library start staring at the guy, who is very embarrassed and moves to another table. After a couple of minutes, the girl walks quietly over to the guy’s table and says with a laugh: “I study psychology, and I know what a man is thinking. I guess you felt embarrassed, right?" The guy then responds in a loud voice: “$500 FOR ONE NIGHT? ….. THAT’S TOO MUCH!" All the people in the library look at the girl in shock. Looking down at his book, the guy whispers to the girl: “I study law, and I know how to screw people." This entry was posted by admin on July 6, 2014 at 7:35 am, and is filled under Sunil Bali, The Art of Awesome Living, The Book of Awesome Humour. Follow any responses to this post through RSS 2.0. Both comments and pings are currently closed.